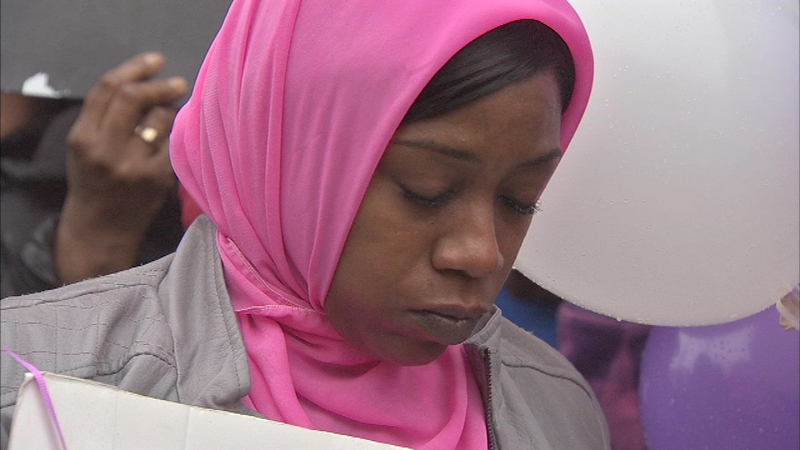 Hundreds of people came out Monday evening to honor the memory of 18-year-old Nadje Steedley. WEST PHILADELPHIA (WPVI) -- Hundreds of people came out Monday evening to honor the memory of 18-year-old Nadje Steedley. 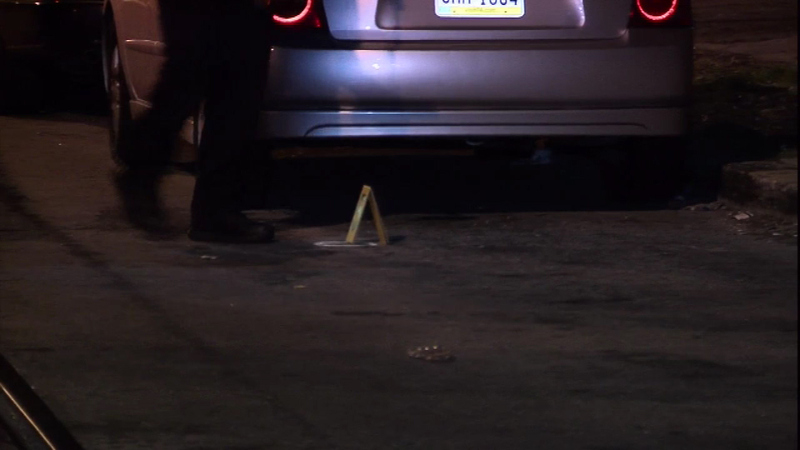 They gathered along the 400 block of North Salford Street in West Philadelphia, the very location where she was struck and killed by a stray bullet this past Saturday night while standing on her own front porch. Hundreds people turned out for a vigil honoring 18-year-old Nadje Steedley, who was shot and killed by a stray bullet in West Philadelphia. The victim's mother, Zykia Clavon, says she is doing all she can to remain strong right now as she begins making arrangements for her daughter's burial. "We're going to send Princess J home the right home and her mom can't be a basket case when she's doing it because I'm a woman then I'm a mother," Clavon said. Clavon took time to thank the crowd that lit candles and released dozens of balloons as part of a unified plea for a stop to the violence on the streets of Philadelphia. People who knew Nadje best remembered a beautiful young lady with a zest for life, including Taleah Taylor who runs a local anti-violence organization where the victim served as a volunteer. "I didn't have to run after her, like, 'did you do this yet? Did you do that yet?' She was determined to turn her life around, so I was determined that everybody came out to honor her today," Taylor said. The crowd also took the time to urge anyone with information about this case to step forward. A $20,000 reward has been posted for information leading to an arrest and conviction in this case, but Nadje's mother says it's not about the money. "I don't care about the reward. There's a reward out there, but I couldn't care less. I just want to know who killed my daughter and that's it," Clavon said.